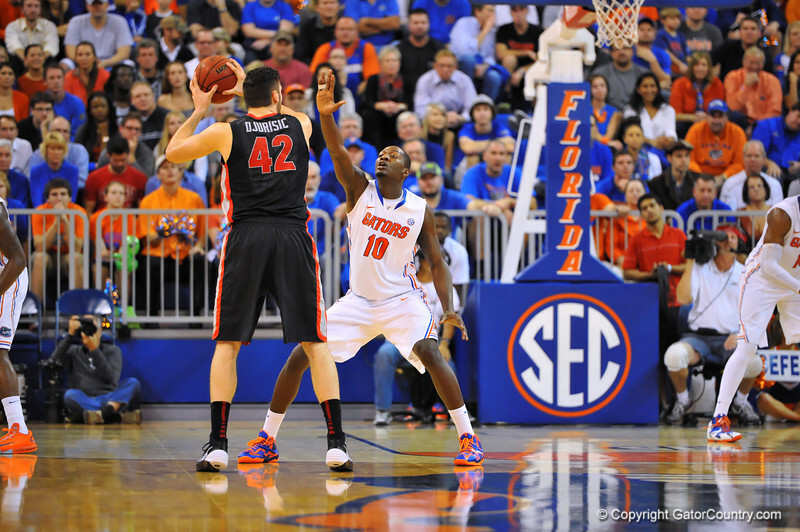 Florida forward Dorian Finney-Smith guarding Georgia forward Nemanja Djurisic during the second half. Florida Gators vs Georgia Bulldogs. Gainesville, FL. January 14, 2013. Gator Country photo by David Bowie.